The plans have been met by forceful opposition by the local radio sector as this transition is regarded as a obstacle to small-scale radio business. This is a sensitive issue as most profiting on the transition are the two foreign-owned radio companies MTG and SBS while local radio is Norwegian owned. 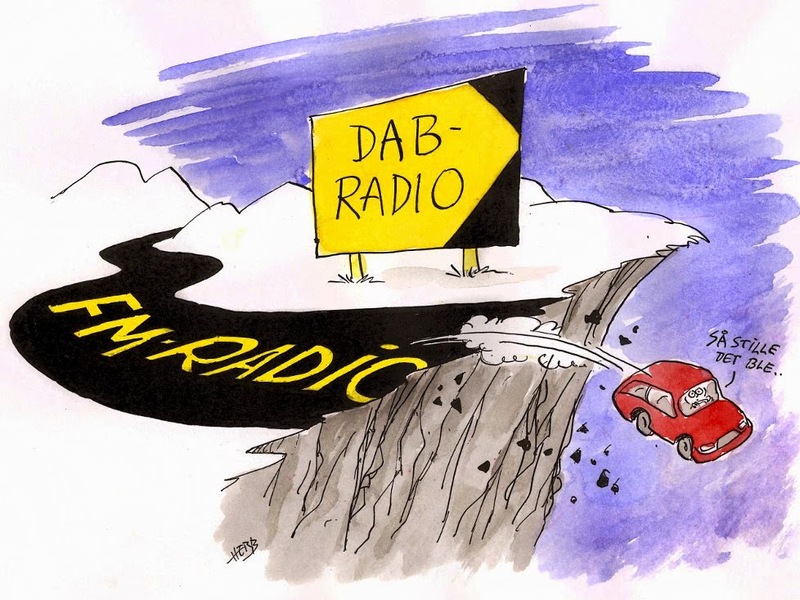 A transition to DAB+ will not be implemented by free market mechanisms but by state intervention. The citizens will be forced to replace their receivers if they want to continue to listen to the public radio NRK and the two commercial networks. The decision by the government for a fast track to a transition ignores the fact that millions of foreign motorists visiting Norway annually as tourist or in professional business (buses and trucks). Neighboring countries as Finland and probably Sweden will not make any transition to DAB+ FM will be the dominant system for decades to come in Europe. This means that visitors will not be able to listen to important channels as the public radio NRK P1 for emergency alerts, traffic information etc. To solve this problem a proposal from the DAB lobby is to sell DAB Converters at the border. If the proposal by the government is passed by the parliament will be at a great risk for the future of terrestrial radio as on-line - and FM - listening in smartphones is steadily increasing. Still there are no mobile or smartphones with DAB receiving capabilities on ale anywhere in the world. DAB radio still is a project much limited to the European arena. This proposal from the Minister of Culture is much welcome by DAB proponents. Behind this successful lobbying is Digital Radio Norway (DNR) which is a company owned by the public radio company NRK and one of the commercial networks MTG. DNR not only runs information campaigns it is also a license holder of DAB channels.